One of the best lectures using humor and factual information I’ve ever attended. Witty and fantastic speaker. Enthusiastic. Don is a gifted presenter and mediator. In my role as the Executive Vice President, General Counsel of JAMS I see and participate in many programs all over the world. Don Philbin is clearly head and shoulders above the rest and presents one of the most entertaining and most informative programs on risk analysis I have ever seen. Drop whatever you are doing and try to see him in action. In a 25-year career of commercial litigation and five of full-time mediation and arbitration practice, Don Philbin’s “Deal or No Deal: Leveraging Information to Overcome Psychological Barriers to Efficient Deals” program stands out as one that actually gave me the tools to improve my practice the very next day. Don’s talk riveted my attention; made me laugh out loud; and, made me think of negotiation and mediation in an entirely different light. This program – without more – will equip in-house counsel to WAX the other side at the negotiation table AND to teach his outside counsel how to negotiate a better deal for him the next time around. The day of the marginalized client in settlement negotiations is over and Don Philbin is the guy with the bargaining talent to watch. Enjoyed the hands on application. Don practices what he preaches, and shows his audience how to do it too — he uses a highly dynamic, compelling, richly visual presentation to convey his message to both the linguistic and graphic learning centers of his audience’s minds. He takes an increasingly rich field of study – how people make decisions, and in particular how and why they make erroneous or irrational decisions — and applies that to the process of negotiation and settlement. What separates a “deal” from “no deal”? Don explains how psychological factors and biases cause litigants and even the most experienced counsel to make irrational decisions, and how to overcome these tendencies in a simple and systematic way. Excellent. Very Interesting. Would have liked more time to discuss and learn what the science shows about predictability. He was superb and info excellent. He knows his stuff. Kept us going after lunch! Deal or no deal metaphor and show was brilliant! Well documented and smoothly presented. Don always is entertaining while informing. Great presentation. One of the best. Don presented an excellent CLE seminar on negotiation to Akin Gump’s litigation section, broadcast to all US offices by videoconference. Don tailored the presentation to the audience of litigators, such that guidance on successful mediation strategies was an important part of the program. Don demonstrated his grasp of academic research in the field of negotiation strategies, made the results of that research understandable and interesting, and provided practical insights based on the research. The reviews of his presentation were uniformly positive. Don clearly is not the type of mediator who merely shuttles proposals back and forth and hopes the parties settle. He brings both intellectual rigor and a practical approach to the mediation process. 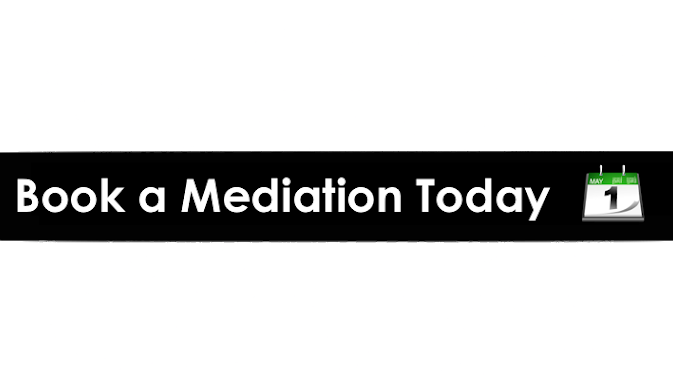 Best speech – funny, intelligent, real life examples – moved my mediation skills dramatically forward today!!! Excellent talk. Could easily be an extra session. Kept everyone’s attention well. Very interesting concepts. Presentation was fast paced and engaging.